I’m really not the type to brag, but after years of trying I’m happy to announce that I’ve finally perfected the avocado toast. 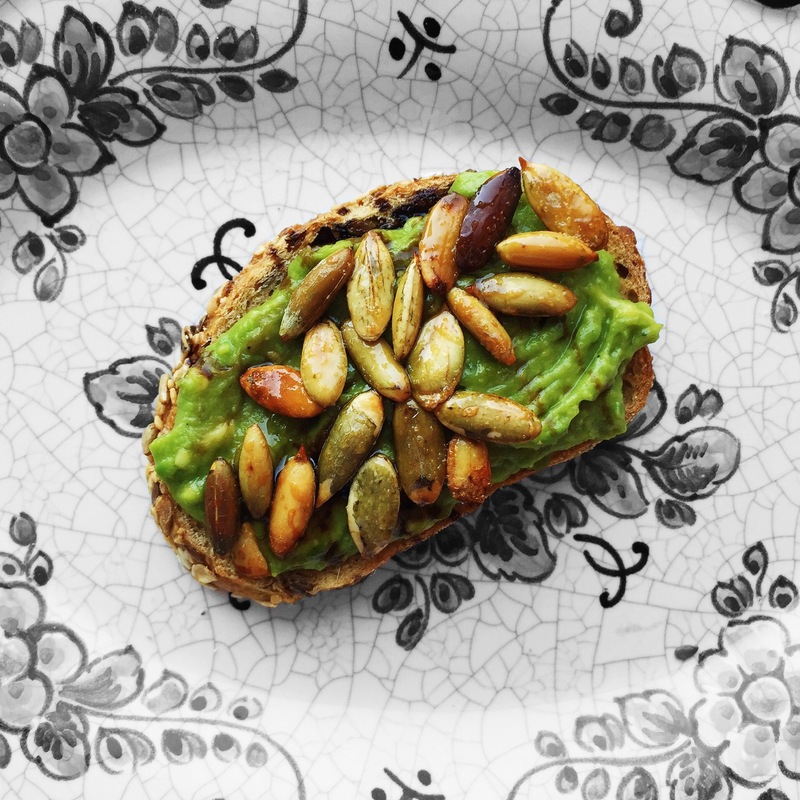 I have been slaving away taking note of every good avo-toast out there. But even the best toasts of NY are missing a little something. However, today was the day–I had a perfect avocado (purchased from Whole Foods, obvs) and I was ready to roll. I decided to take recipes from a variety of restaurants and combine them into one cohesive and delicious breakfast. So here is how it went down: First, I cut the lusciously green avocado into four sections and scooped out ALL the meat into a bowl. I smashed it with a fork until it was nice and smooth, added salt and pepper, lime and olive oil. (I didn’t really measure anything, just went with the good-ol’ gut). Then I grabbed some pepitas (pumpkin seeds), poured some honey and sugar, mixed it, spread them into a baking sheet, and popped them in a 400F degree oven for 10ish minutes. In the mean time, I toasted some quality bread and got prepared to begin the solo-feast. 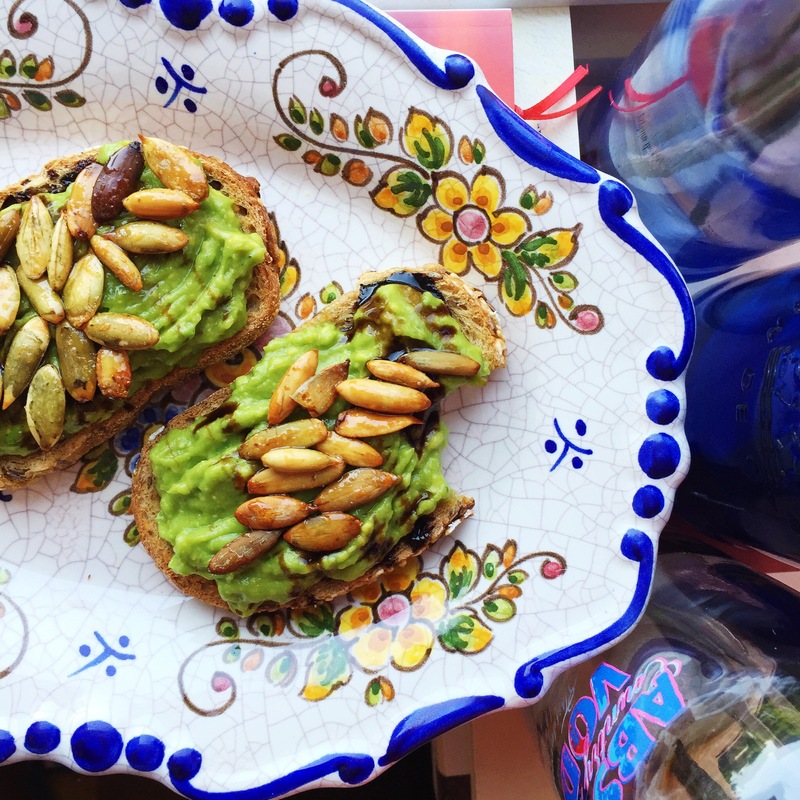 Once the bread was done, I spread the avocado shmear, drizzled some balsamic glaze and placed the honey-rosted pepitas on top. 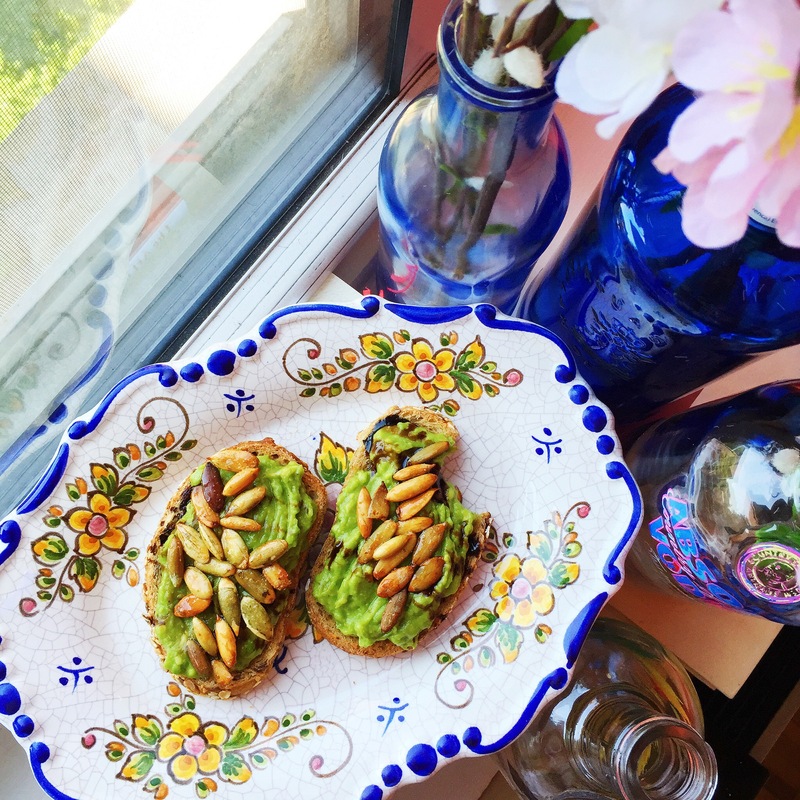 I’m telling you, this avocado toast was a gift sent from foodie heaven. It’s all about quality ingredients, patience and playfulness. Plus, it cost me much less than one of those ‘fancy’ ones. I was also able to refurbish the leftover avocado spread to make an avocado toast Benedict for the next morning and some chicken-avocado sandwich for later in the week. My next mission you ask? To perfect the upcoming (and very hipster) carrot-toast. Let’s see how that goes. Wish me luck!